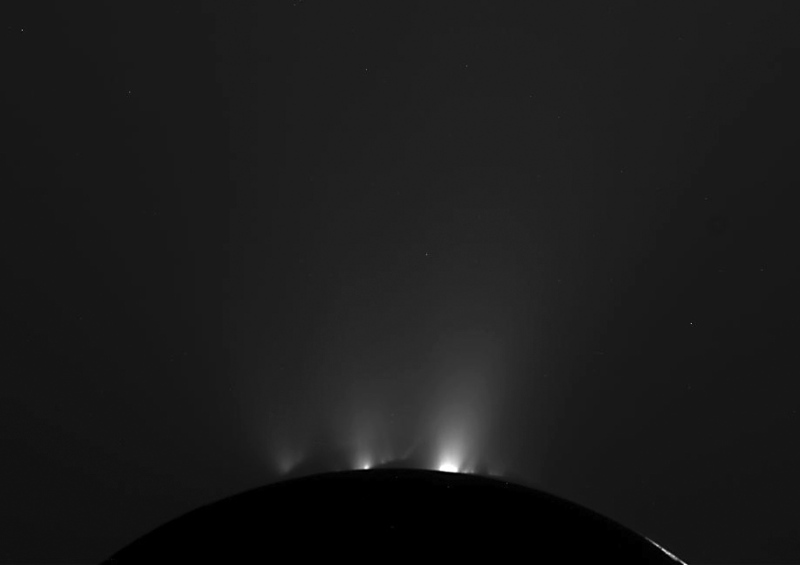 Enceladus' ice plumes in action are best seen from its night side. 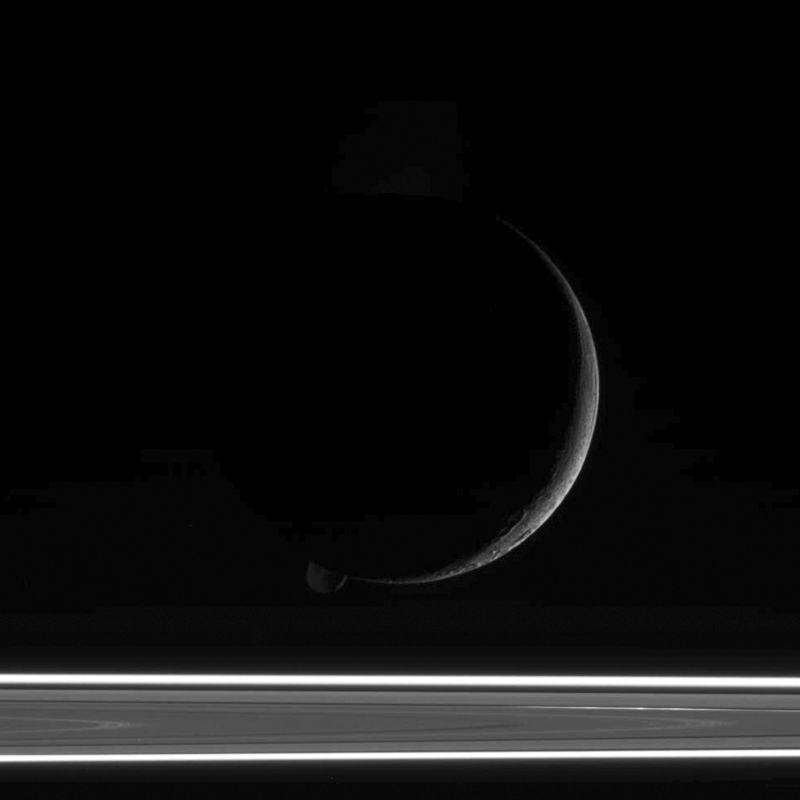 On Saturday, Oct. 1, the Cassini spacecraft performed another flyby of Saturn’s moon Enceladus. Passing by at a distance of only 62 miles (99 km) Cassini took some fantastic images of the 318-mile-wide moon — most notably of its signature plumes of water ice spraying from fissures along its south pole! The purpose of the flyby was to learn more about the nature of the plumes and measure their level of activity. Cassini used not only its cameras but also its ion and neutral-mass spectrometer to effectively “taste” the plumes. Helene, another of Saturn's many moons, peeks out from behind a crescent Enceladus seen here above the rings. First spotted by the Cassini spacecraft in 2005, the plumes are composed of water ice vapor with various salts and organic compounds mixed in, strongly indicating the presence of a subsurface ocean or reservoir of some sort. This puts Enceladus on the short list of places in the solar system where life may possibly be found. See more on my article on Discovery News here. Image credits: NASA / JPL / Space Science Institute. Edited by Jason Major. Previous Post Vision: Save The James Webb!